Shanghai offers you a dynamic, international and cosmopolitan environment. Shanghai is the perfect destination to learn Chinese both in and outside of the classroom. Mandarin House Shanghai - People's Square is located in the heart of the city and provides you with high quality Chinese courses and a professional and friendly learning environment. Our Shanghai - People's Square school offers the same curriculum, courses and level of teaching quality as our other schools nationwide giving you freedom and flexibility of choice. From Intensive & Business Courses to Private Tutoring, HSK Preparation, and Juniors Programs, you can be assured there is a course best suited to your needs. 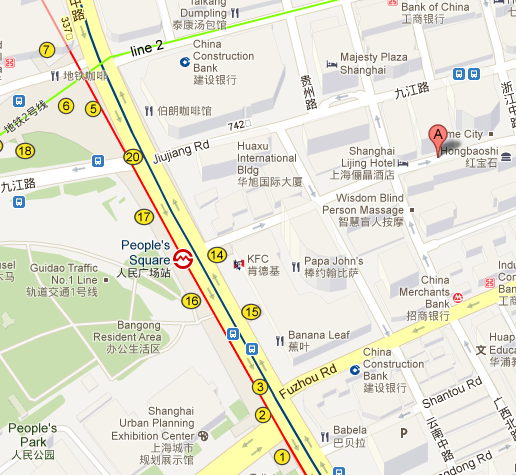 Reserve your place in our Shanghai - People's Square school now! From effective Intensive & Business Courses to flexible Private Tutoring, HSK Preparation and Junior Programs, there is one suited to your needs. Learn and improve your Chinese with our international accredtited quality of teaching and service. With height-defying skyscrapers to the west of the HuangPu River and the historic Bund on the east; Shanghai has one of the world’s most memorable skylines, a reflection of its modern and international character. Sign up a Language PLUS course to explore Shanghai! Mandarin House offers a range of modern, convenient accommodation options that give you the flexibility to live how you want, for as long as you want. You can choose between Single Room Shared Apartment, Private Studio Apartment and Homestay. A: Asia Mansion, 12 Floor, 650 Hankou Rd. To apply for a course in Shanghai, then please complete our online registration.